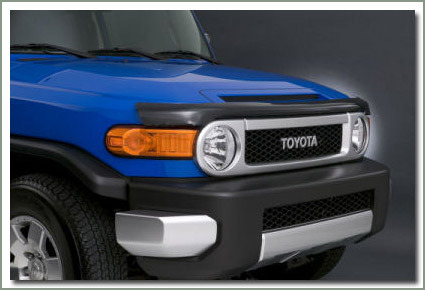 Toyota OEM acrylic Hood Protector resists chipping and scratching in all weather conditions. Stylish smoke colored wrap around design provides additional hood and side protection. Special patented airflow holes direct bugs, air, and debris up and away from hood and windshield. Genuine Toyota accessory part. No drilling required. Hardware is included. Fits 1/90-1/98 - NO drilling - Comes with installation hardware. Can not be shipped via parcel post - too large! Fits 1/98-2007 - Does NOT fit the LX470 - NO drilling - Comes with installation hardware. Can not be shipped via parcel post - too large! Hardware kit fits Toyota OEM Hood Protector. Includes replacement rubber bumpers and all installation hardware. 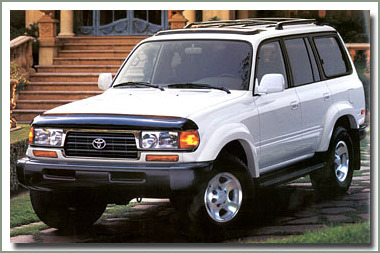 Toyota OEM acrylic Hood Protector resists chipping and scratching in all weather conditions. Stylish smoke colored wrap around design provides additional hood and side protection. Direct bugs and debris up and away from hood and windshield. 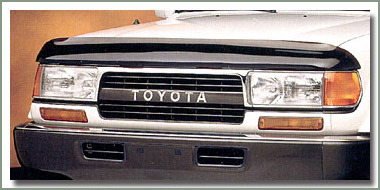 Genuine Toyota accessory part. Hardware is included. Molded Bug Deflectors contour the vehicles' hood to prevent wind drag and flair at the top to channel the air flow up over the vehicle taking bugs, gravel, sand and water with it.